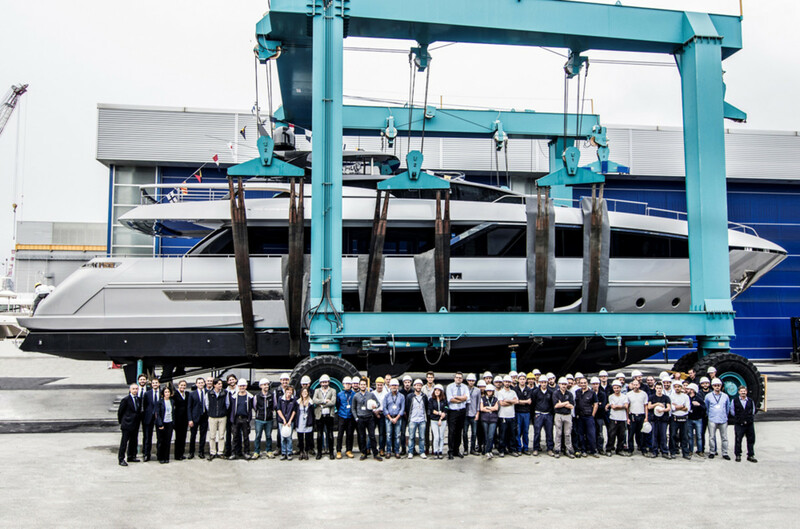 Riva Yacht said it recently launched its first 100-foot Corsaro in La Spezia, Italy. Riva Yacht said the 100-foot Corsaro will make its international debut in Hong Kong early next year. Riva Yacht said it recently launched its first 100-foot Corsaro in La Spezia, Italy, marking the brand’s return to the flybridge segment. Officina Italiana Design, which designs the brand’s entire fleet, the product strategy committee and Feretti’s engineering department collaborated on the maxi yacht. The Corsaro will make its international debut in Hong Kong in early 2017. It will be the first time a Riva yacht premieres outside Europe. “We are proud to introduce this new, remarkable Riva,” Ferretti Group chief commercial officer Stefano De Vivo said in a statement.